Sjoerd Hamburger is a social scientist and consultant for KplusV. 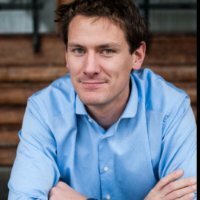 Sjoerd is the alternative finance expert at KplusV, with an emphasis on informal investing and crowdfunding. He coaches young innovative entrepreneurs within the many ecosystems that KplusV founded through the years. As part of the team working with Schretlen & Co, Sjoerd assesses hundreds of business plans every year. Besides his expertise on alternative finance, Sjoerd is an accomplished rower. He participated in both the Beijing and London Olympic Games. He gave many presentations and workshops as an elite athlete and since some years does this for KplusV on Finance and Entrepreneurship.